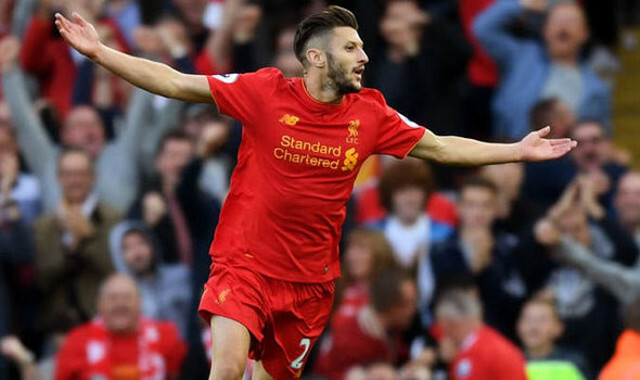 Liverpool are making steps to tie Adam Lallana to the club for the foreseeable future, it seems. The Englishman has been our best player this season, scoring seven goals and registering seven assists in the Premier League already. In Coutinho’s absence he’s stepped up to the plate and has become our talisman from his deeper, freer midfield role. The Express claim that the club’s hierarchy have earmarked a £120k/week contract offer for Lallana, who’s probably the first name on Klopp’s team-sheet. That amount would double the wages he currently earns from the first contract he signed at Liverpool in 2014 following his £25m switch from Southampton. His wages would also become on par with the club’s highest earners, Daniel Sturridge and James Milner. The report suggests our contract offer is to fend off interest from Spurs, but we find that very hard to believe. Liverpool would never sell to a direct rival and there’s no reason Lallana would leave Liverpool to join the White Hart Lane club either. Hopefully, Lallana can sign a new deal, continue on his upward curve and carve his name in the club’s history.